Las Vegas is booming in commercial establishments. Casinos, restaurants, movie theaters, convenient stores, book shops, cafes, office buildings, medical institutions, lodging … you get the idea. With the Vegas Valley being designated a high service industry kind of town; you need to ensure customer satisfaction is top notch. Along with that, keeping employees comfortable proves to create a better working environment. Having a dependable company to rely on for heating services is extremely beneficial. Air Supply Heating and Air Conditioning have been providing heating services to commercial properties for over 25 years. We are fully licensed and insured and our professionals have exceeded the minimum credentials to ensure your heating services are best in the business. And in a 24 hour city, you need the best; able to be there when you need it. Air Supply Heating and Air Conditioning is open 24/7 for any emergencies you might be faced with. Heating services include maintenance, emergency repair and installation. Heating maintenance services should be performed a minimum of once a year, just before the weather calls for it. With a professional from Air Supply Heating and Air Conditioning providing a maintenance service on your heating system for your commercial building, your investment is beyond beneficial. Catching minor issue before they become major problems, can not only save you money, but can prevent any unhappy customers or employees. When temperatures get chilly, the last thing folks want is to be inside where it just as cold or colder. Getting your heating units inspected and maintained by an expert from Air Supply Heating and Air Conditioning can minimize the chances of that happening. Next is the longevity of your heating systems. Like any device involving moving parts, getting a regular maintenance service can extend the life span of the system. Maintenance is also an excellent means to ensure you are not paying more than needed on your utility bills. Give your heating system the proper maintenance by a specialist from Air Supply Heating and Air Conditioning for superior quality. Repairs come with the territory. After time, the moving parts become worn and deteriorated. When the need arises for a repair, you will want only the best in the business to provide the repairs quickly and efficiently. 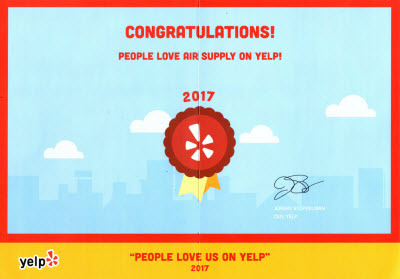 Air Supply Heating and Air Conditioning have recruited the top members in the field. They possess skill, experience and knowledge combined with high quality equipment, tools and supplies, so your repairs are done right the first time. The older the building, the older the heating system is, more than likely. Most heating systems are dependable for 10-15 years, give or take. When you need a heating system, or just one of the components that make it work, you rely on the professional to properly install the heating system. 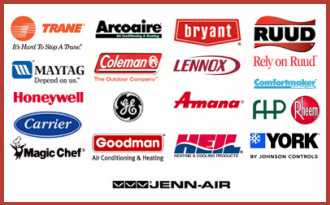 At Air Supply Heating and Air Conditioning, our professionals have been masterfully trained, continuing their education to be up to date with modern appliances and systems, to install the heating system that best fits your commercial building’s needs and your budget. 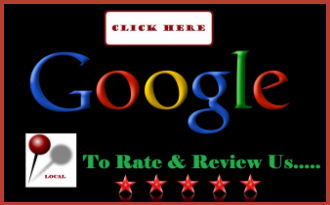 Air Supply Heating and Air Conditioning prioritizes our valued customers for complete satisfaction. Being a reputable and dependable HVAC company, you will want to make sure our number is saved in your phone for quick responses. 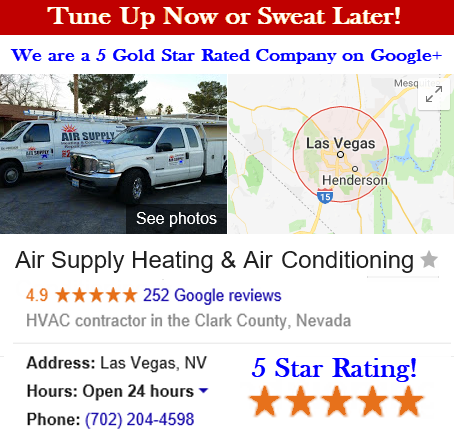 For your commercial heating services, call Air Supply Heating and Air Conditioning today!